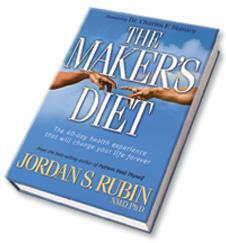 The Maker's Diet is the latest book by Jordan Rubin, detailing the fourty-day health regimen created by the NY Times best-selling author of Patient, Heal Thyself and Restoring Your Digestive Health. The first in a series of books from Jordan Rubin, founder of Garden of Life supplements. 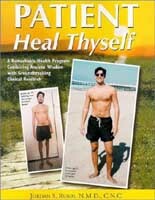 This book details his battle with Cron's disease and how he came to the understandings that helped him to recover from this "incurable" condition. More of a personal journey than a nutritional guide, this book is inspiring reading about an individual taking their health into their own hands. In the years since it's publication, Healing with Whole Foods has become one of the essential reference manuals on nutrition. This extensive volume details the concepts of traditional Chinese medicine and explores the elemental qualities of foods with a heavy emphasis on the dietary origins and treatments of physical conditions. It also includes over 300 recipes to help with planning a whole foods diet. The Body Ecology Diet is a national best seller that's 'must' reading for people with candidiasis (yeast conditions), chronic fatigue syndrome, cancer, AIDS, food allergies, or digestive disorders - - or anyone simply seeking a key to good health. The Body Ecology Diet shows you how healing can be achieved by restoring your body's inner ecosystem.